Depth of field does not affect reflection and refraction! Depth of field does not affect reflections! Although it may seem counter-intuitive, this is not a bug, and this phenomenon is something that happens in real life. 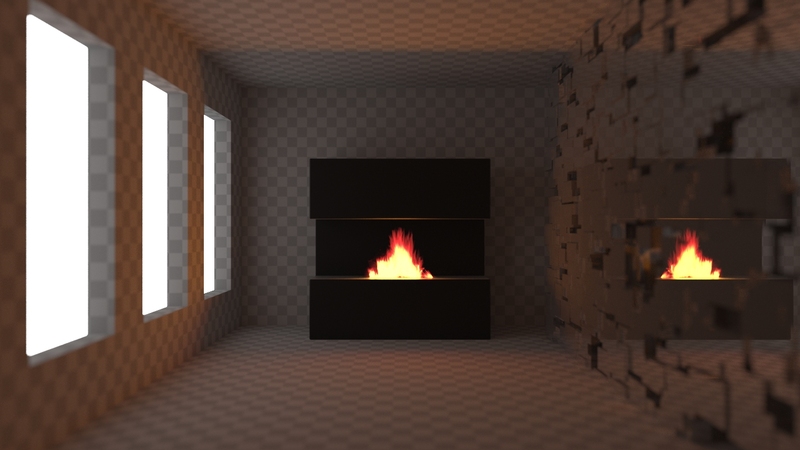 Example renders - the fireplace reflection remains sharp even though strong DoF is observed on the wall. This phenomenon applies to flat reflections only. This will not happen for reflections seen on curvy objects like water drops, or Christmas baubles. 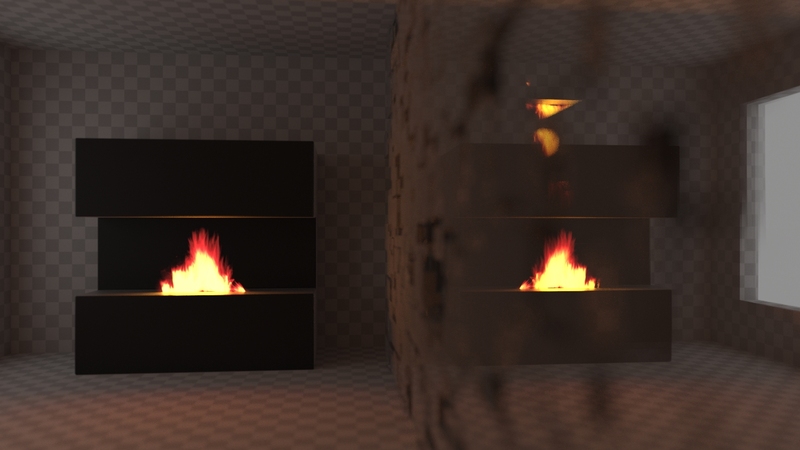 It is impossible to recreate these effects when adding DoF in postproduction using the Z-depth pass.